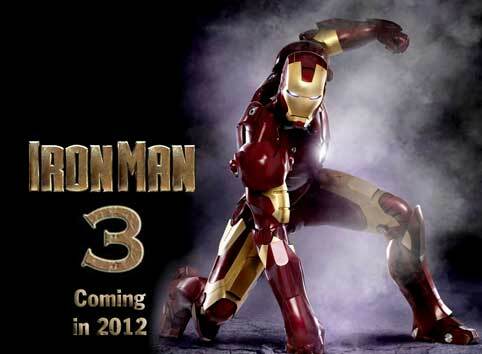 Iron Man 3 will begin filming beginning in May of 2012. The film has announced that 1000’s of extras will be needed for Iron Man 3. Iron Man will be shooting in Wilmington, NC and plans on using many people to fill the extra, background, stand ins and featured extras roles that become available. Iron Man 3 is the third in the Iron Man series that stars Robert Downey Jr.
Iron Man 3 will also need crew and the production estimates to hire 550 people for crew jobs Iron Man 3 will be shooting from May 2012 until January 2013 and has a Memorial Day weekend release in 2013. The Wilmington casting company, premier is also looking for extras for other projects that are also coming to NC. We still need ALL ages, ALL Shapes and Sizes, ALL Ethnicity, Kids, Adults, Males and Females ….so if you want to get paid to be in a movie, show up and we will take a photo and have you in our data base ready to be called if you fit the bill. Personality- wise, respectful, energetic,honest, fun and easy to get along with. And I love all action movies; fighting, car chases, gun use, running/jumping and all that. lots of action!!! would love to work with Robert Downey Jr., Gwyneth Paltrow and Scarlett Johansson! I’m bilingual (French/English) and I am british with a London accent. I can dance. my name is kaitlyn and i would love to be in your show. I am 13 and i do act for school and events. Thanks for reading! My name is A.J. Fuller, i’m 21 years old, i’m from Manchester, Tennessee, and acting, whether it’s background or in a part, is my passion. I’m 6’0, 225 pounds, and i’m a proud user of P90X. My personality, I LOVE to entertain people making people laugh is awesome for me. Becoming a A-List celebrity is my goal in life, my parents deserve one thing to go right in their life, why not me? It would be intense to be in this movie! Iron Man is so awesome! I am 21 years old and have brown hair. I am 6’1″ with an athletic build. I would love to have a chance to be anything in this movie. Please consider me. Personality: Fun, bubbly, joker, stubborn, sometimes serious, respectful, and honest. Hi i’m interested in being an extra as well as my 2 year old son. I reside in Birmingham, Alabama. Please contact me with further details, thanks! I WOULD BE HAPPY TO BE AN EXTRA! Hey,right now Im with () and agencies,and I was really looking for a movie casting to put on my resume.I feel this is a great oppurtunity,and Im really looking forward to working with celebrities.I am a 10 year old,african American female,with much passion for acting.i have a bubbly personality-but once Im in character Im a whole new person. Please consider my request-Thankyou! Personality- Loves to work with others.